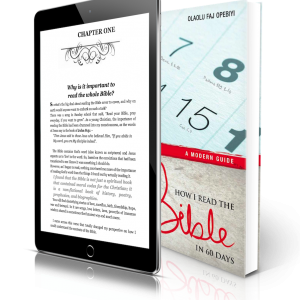 View basket “How I Read The Bible In 60 Days” has been added to your basket. The gnawing question, “Where will I be when I get to this age?” is sometimes lurking away in a part of our minds that we have not properly engaged or otherwise have not been brave enough to face. 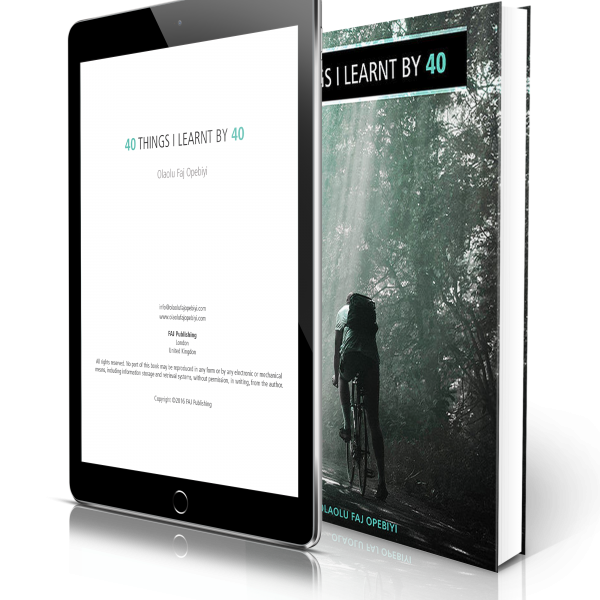 As we try to come to terms with the passage of time by matching it against our best achievements, we somehow want to ascertain that the sum total of our journey so far has yielded worthwhile results.In this book, the author shares 40 significant life lessons he learnt on his way to the landmark age of 40. Glancing back over several decades of his life experiences, he is able to pick out clear nuggets of wisdom that helped him navigate towards his preferred destination when he seemed to be way off course.Using personal stories, humour, poetry and a simple yet engaging narrative, Olaolu is able to drive home very salient points about life and learning from it.“40 Things I Learnt by 40” is a must-read book for anyone approaching a landmark age. 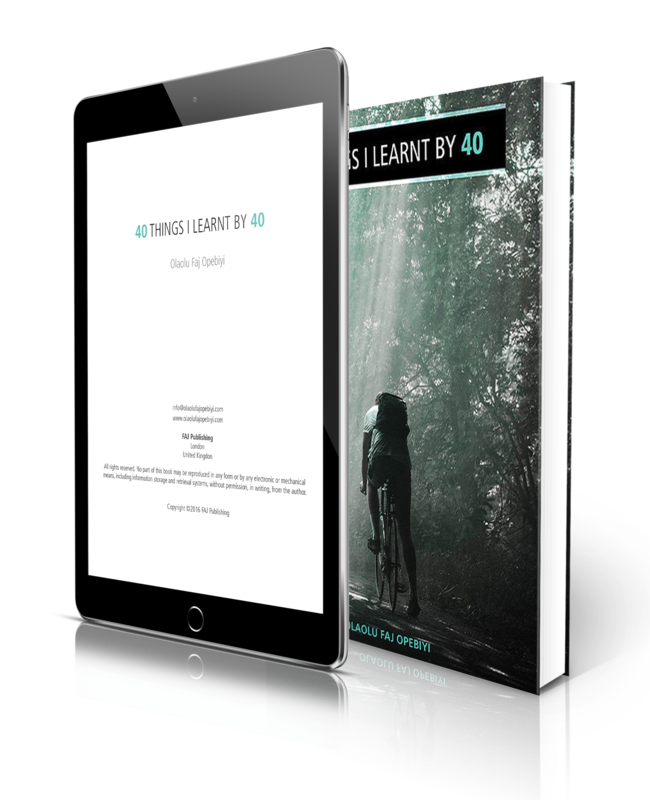 A special note to those approaching their 40th year, please pull up a chair and settle in with this book; it’s about to get better – as the saying goes, “Life begins at 40”.